Today I have something a little different, I’m talking ads. As I have now finished University (graduating tomorrow! 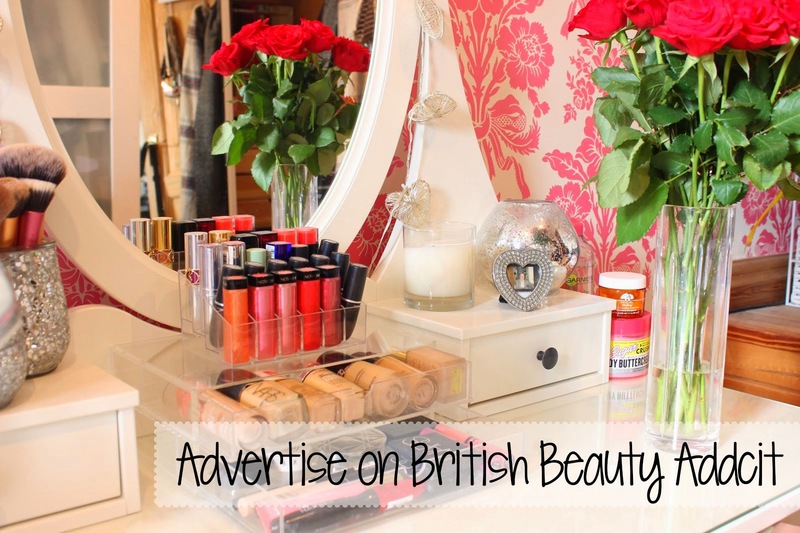 ), I will be accepting advertising again here on British Beauty Addict! I’m now taking adverts for the month of August. Below you will find a breakdown of the cost and what is included. A 219×126 pixel ad in the sidebar for one month, running from the 1st, till the last day of the calendar month. Two group #FF on Twitter in the month of August. 100 word (max) advert about you/your blog accompanied by your blog header, to go under my ‘Meet My Advertisers’ post. There are only 10 of these spaces available for the month of August and advertising spaces come on a first come, first serve basis. Please be aware that payment is taken via PayPal.